Today, Nokia has introduced a new Android launcher called 'Z Launcher'. This launcher replaces the standard Android homescreen and allows you to find apps by writing on your screen with your finger instead of typing with your keyboard to find the apps. On the top of the launcher is a clock and calendar and the usual Android dock is at bottom. In between is the list of apps, contacts and websites that appear after you draw a letter on the screen, using your finger. Please note that the beta version of the launcher will only work on the Samsung Galaxy S5, Samsung Galaxy S4 and select Nexus devices, like the Google Nexus 4 (pictured above). As you may know, Nokia's smartphone business is now known as Microsoft Mobile, and the team behind the Nokia Z Launcher are those who remain with the newly formed Nokia. Its interesting to note that Nokia is continuing to invest in development in the smartphone ecosystem and it will be intersting to see how the Nokia Z Launcher evolves in future. 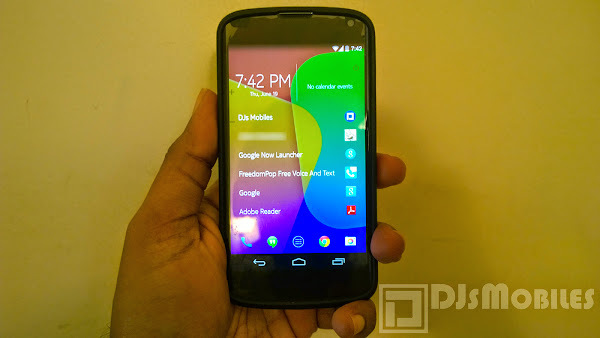 Check out the following hands on video of the Nokia Z Launcher, running on an LG G3.